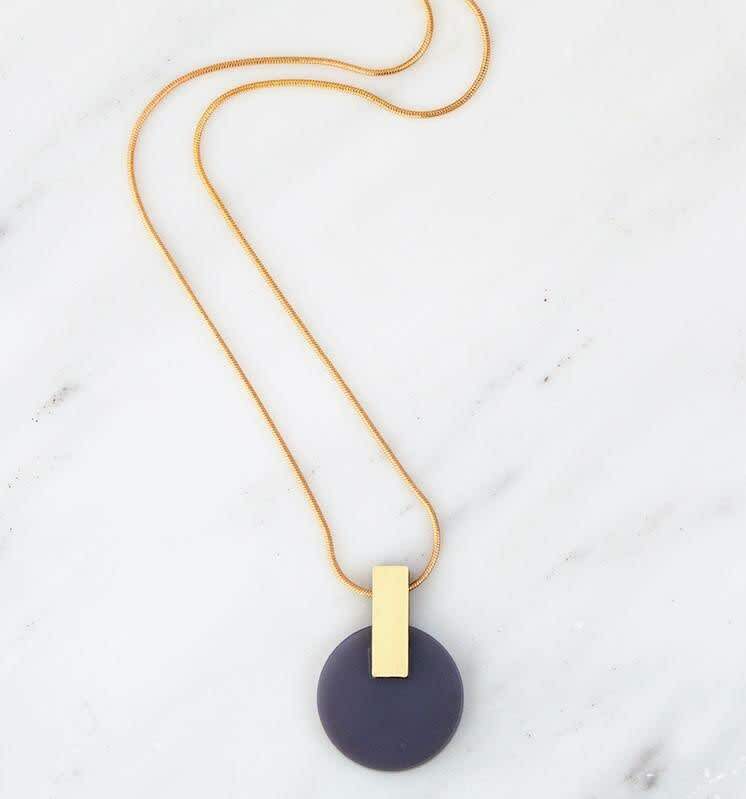 Minimalist necklace made with wood and brushed brass, finished in acrylic. Collection No.9 combines unexpected materials with simple forms and movement. Designed for the modern woman, it is playful and bold with eye-catching statement pieces and elevated essentials. Material: Pendant is made from wood and brass with navy acrylic.